The Canadian Army (CA) is re-introducing a capability to its ranks that is both steeped in tradition and thoroughly modern. 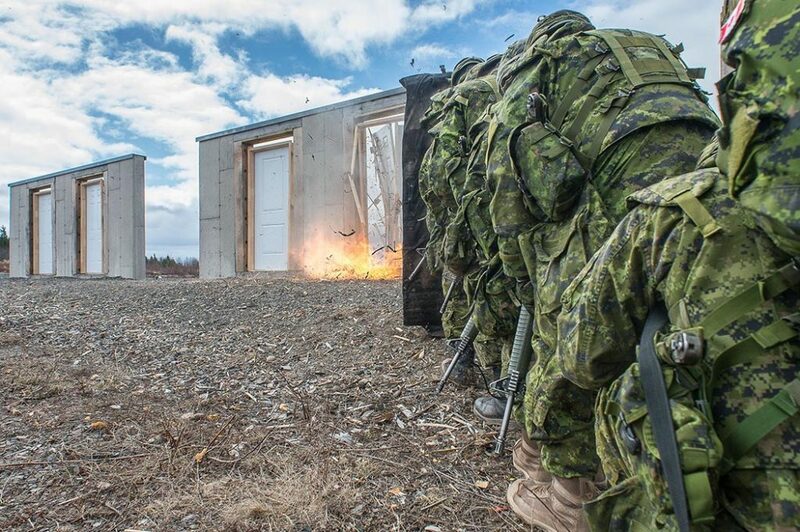 Students from the Canadian Forces School of Military Engineering (CFSME) Development Phase One (DP1) participate in door breaching exercises inside the training area at 5th Canadian Division Support Group (5 CDSG) Gagetown. Lieutenant-General Paul Wynnyk, when he was Commander Canadian Army, gave direction that clearly defines the unique benefits of Assault Pioneers to Light Forces in allowing the CA to effectively respond to when called upon. 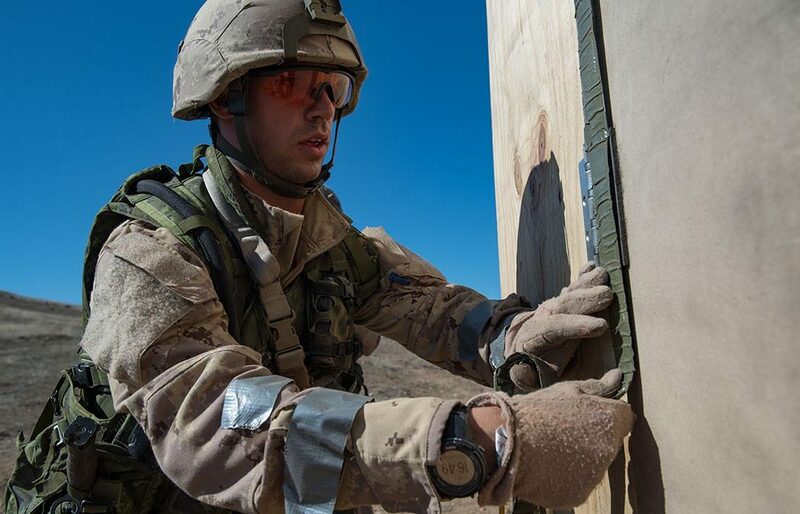 The course is available to infantry soldiers from both the Regular and Reserve Forces, offering them an additional opportunity for professional development. Four courses were conducted at the infantry school in the summer of 2018. Capt Morris noted that it has been decentralized from there and will be conducted individually by various units, including Reserve regiments, throughout 2019. The military Pioneer concept dates back to the days of the Roman Empire, when they cleared a path for advancing forces by, for example, clearing forest with axes or building roads. In Commonwealth tradition, Assault Pioneers have always worn beards, unlike most of their comrades. The origins of this practice are less clear, though Capt Morris said there are stories of British Assault Pioneers who were tasked with parading before Queen Victoria at short notice. The story goes that they were left without sufficient time to fully groom themselves before the parade. What a great rejuvenated initiative. The accompaniment of Pioneer platoons were always a welcome addition to our opppratopn readiness.